As a Relationship Coffee Manager at Sustainable Harvest, Marcus connects North American roasters with high quality, responsibly sourced coffees. He brings a wealth of experience in the coffee industry to his work at Sustainable Harvest. Marcus was the founder and visionary behind Central City Coffee, a social enterprise coffee company providing on-the-job training for formerly homeless employees. 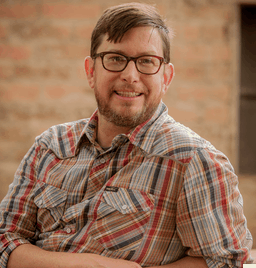 He is a USBC head judge, SCAA lecturer and instructor, and frequent contributor to coffee industry trade publications. Marcus is passionate about creating opportunities for personal and economic growth throughout coffee’s supply chain while expanding the science, artisanship, and trends in specialty coffee. He calls upon his relationships, creativity, palate, and experience every day to source and trade fine green coffees. Let’s Talk Coffee is an event series organized by coffee importer Sustainable Harvest to demonstrate Relationship Coffee - an inclusive business model that stresses transparency between all links of the supply chain. Last week’s Let’s Talk Coffee Rwanda coincided with the launch of Sustainable Harvest’s nonprofit entity, the Relationship Coffee Institute.